EXCLUSIVE! Better Check the Mat Before You Knock. Sometimes a little "heads-up" can be a good thing so you know what you are getting in to….before you knock! 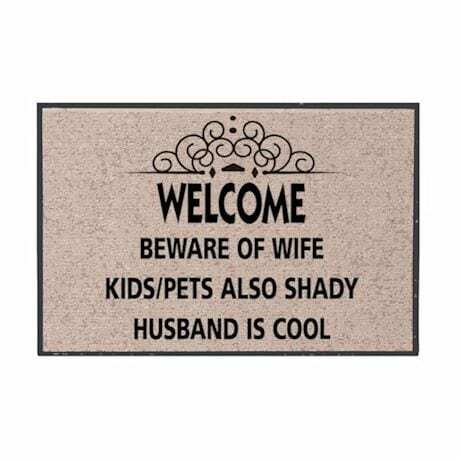 This durable 100% olefin doormat is easy to clean and sends a clear message to all who approach your home. 27" x 18". No rush delivery or gift box. USA.